In 1225, Saint Francis of Assisi wrote the Canticle of the Sun, a moving hymn of praise for all creation that has been adapted to poetry and song for centuries. 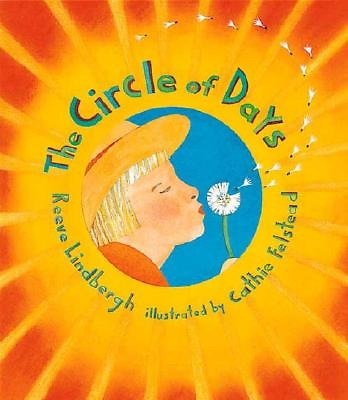 Reeve Lindbergh evokes its gentle power once again with THE CIRCLE OF DAYS, quietly blending her words with those of Saint Francis to honor the elements, the animals, the heavens, and the very breath of life. With marvelous, jewel-toned paintings by Cathie Felstead echoing the childlike reverence of the poem, THE CIRCLE OF DAYS reminds children and adults alike to pause, to wonder at, and to give thanks for the beauty of our world. Now in paperback, this accessible edition features a beautiful new cover.